Under the deal, sanctions imposed by the United States, European Union and United Nations would be lifted in return for Iran agreeing long-term curbs on a nuclear program that the West has suspected was aimed at creating a nuclear bomb. Reaching a deal is a major policy victory for both US President Barack Obama and Iran’s President Hassan Rouhani, a pragmatist elected two years ago on a vow to reduce Iran’s diplomatic isolation. Both men face scepticism from powerful hardliners at home after decades of enmity between countries that referred to each other as “the Great Satan” and a member of the “axis of evil”. 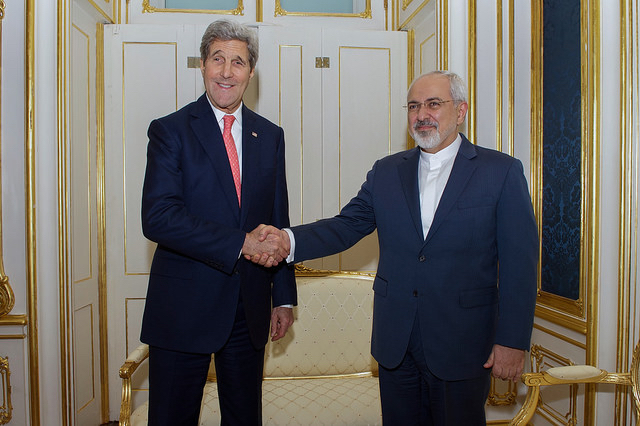 Final talks in Vienna involved nearly three weeks of intense round-the-clock negotiations between US Secretary of State John Kerry and Iran’s Foreign Minister Mohammad Javad Zarif. Western diplomats said under the final agreement, Iran had accepted a “snapback” mechanism, under which some sanctions could be reinstated in 65 days if it violated the deal. A UN weapons embargo would remain in place for five years and a ban on buying missile technology would remain for eight years. Iran’s Foreign Minister, Mohammad Javad Zarif, and EU’s Foreign Policy Chief Federica Mogherini are expected to read a joint statement, diplomats said. The deal will still face scrutiny by the US Congress, controlled by opposition Republicans who are skeptical of the Obama administration’s overtures to a country that has been an enemy since Iranian revolutionaries stormed the US embassy in Tehran in 1979. US allies in the region, particularly Israel and Saudi Arabia, are also worried about an agreement that would benefit Iran. Tehran does not recognize Israel and supports its enemies. Arab states ruled by Sunni Muslims, particularly Saudi Arabia believe Iran supports their foes in wars in Syria, Yemen and elsewhere. But there is also strong reason for the United States to improve its relations with Iran, as the two countries face a common foe in Islamic State, the Sunni Muslim militant group that has seized swathes of Syria and Iraq. For Iran, the end of sanctions could bring a rapid economic boom by lifting restrictions that have drastically cut its oil exports and hurt its imports. The prospect of a deal has helped push down global oil prices because of the possibility that Iranian supply could return to the market. The agreement reached today in Vienna represents a breakthrough, bringing to an end a 13-year nuclear standoff, Council President Donald Tusk stated today (14 July). If fully implemented, the agreement could be a turning point in relations between Iran and the international community, paving the way to new avenues of cooperation between the EU and Iran. Geopolitically, it has the potential to be a game changer. All the parties who worked so hard to achieve this agreement deserve our congratulations, in particular High Representative Federica Mogherini, whose relentless facilitation of the talks among the three EU partners, the US, Russia and China is evidence of the constructive role the European Union plays in global affairs. The text of the agreement is precise; we must now join forces to see it through, taking into account regional sensitivities. The announcement of a nuclear deal in Vienna by foreign ministers with Iran today appears to be one which has 'probity' and which represents a 'victory over the obstructionists on all sides,' say Socialist and Democrat MEPs. "Given further objections expected in the US Congress, European countries must demonstrate good faith to Iran by showing determination to implement Europe's own obligations", said a joint statement from the S&D Group, president Gianni Pittella MEP, and the S&D Group foreign affairs coordinator, Richard Howitt MEP. "We consider today’s agreement with Iran on its nuclear programme as a very positive step which could strengthen EU relations with Teheran. This agreement opens new avenues for constructively engaging with Iran on regional security issues, such as our common fight against ISIS/Daesh; the end of civil war in Syria and stabilisation of the situation in Iraq; and Afghanistan. "The S&D Group congratulates EU high representative Federica Mogherini for the very constructive and effective role she played in steering the talks to this historical agreement. It is a great example of success that Europe's common foreign policy can achieve when there is leadership, common purpose and unwavering commitment to world peace and effective multilateralism. "Following these positive developments I call on the EU to move quickly in order to establish a permanent delegation in Tehran." The European Jewish Congress (EJC) reacted with deep disappointment to the news of a deal between the six world powers and Iran over the latter’s nuclear program. Dutch MEP Marietje Schaake (D66/ALDE) said, "This is a day of historic importance for the entire world, but especially for the people in Iran. They have been suffering under sanctions and the country's isolation. I congratulate the negotiators for their endurance and commitment to reaching this important result.The EU must make sure the sanctions relief does not fuel a grey economy. Instead, the EU's focus should be on the wellbeing of Iranians, their human rights and fundamental freedoms first and foremost." "Now that the hurdle of the negotiations is largely out of the way, space opens up for more political focus on other important topics. It is now key to seek cooperation and progress on counter terrorism and regional stability. Iran plays a vital role in helping the Assad regime in Syria. The EU cannot sit back while people are being killed every day, and the war in Syria rages on. Iran has contributed billions to strengthening the government in Damascus as well as militia on the ground. It must now choose to be part of the solution and the end of the war instead." The election in 2013 of President Hassan Rouhani, a moderate, signalled a change in Iran's economic policy. Talks with the P5+1 powers - Britain, China, France, Russia and the United States plus Germany - started in September 2013 and an interim agreement two months later gave Iran some sanctions relief in exchange for curbs on its nuclear activities. If sanctions are lifted, Iran's energy sector is considered a juicy target. With the fourth largest oil reserves and the second in gas, Iran has the biggest combined energy deposits in the world. The nuclear agreement may also spur interest in Iran's auto sector. The French manufacturer PSA Peugeot Citroen which in early 2012 quit Iran, its second largest market, is discussing a renewed partnership with IranKhodro.